At the first hour, there will be no backlog yet in processing of applications. 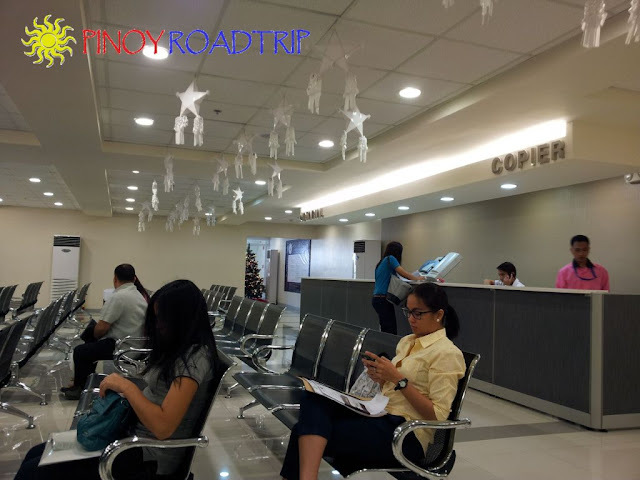 If the personnel slows down in their work or encounters many people with incomplete or troublesome documents, the 10:00 AM appointments will not be affected by it. As you can see, before 10:00 AM, there are already 10 waiting customers. 2. Get a Thursday slot. In my experience, Thursday is usually a slow day. There are less lines during Thursdays, whether in a bank, government offices or shops. Take note that the fee for weekend passport appointments is more expensive than weekday slots. This tip is basic because knowing where to go saves time. 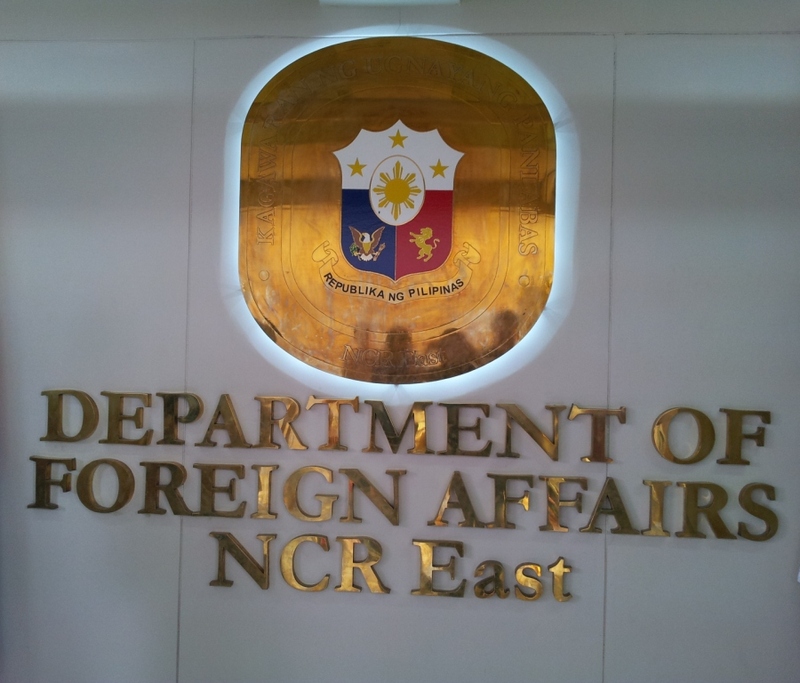 This especially holds true in this case because the SM Megamall building where the Department of Foreign Affairs (DFA) holds office is relatively new. 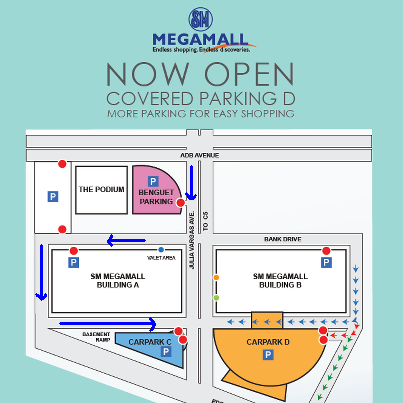 It will be confusing to find for those who do not frequent this mall or is not at all familiar with SM Megamall. So I'm making a special post here. 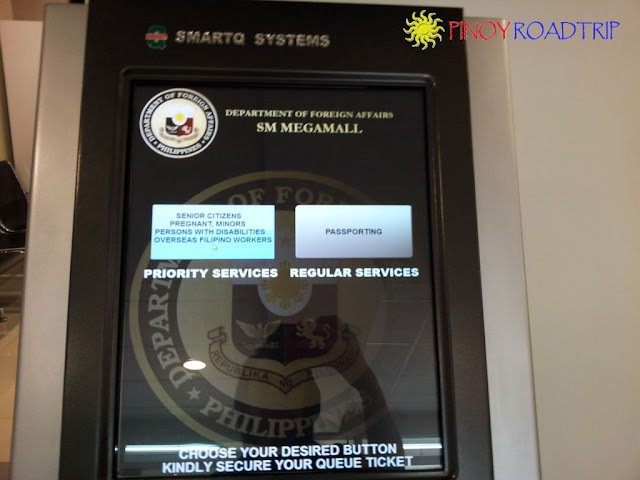 For more details about the exact location of the passport center, check out my post "Where to Find the SM Megamall Passport Processing Center." Make sure to park at the 7th level parking lot of building C, especially if you have children and senior citizens with you. 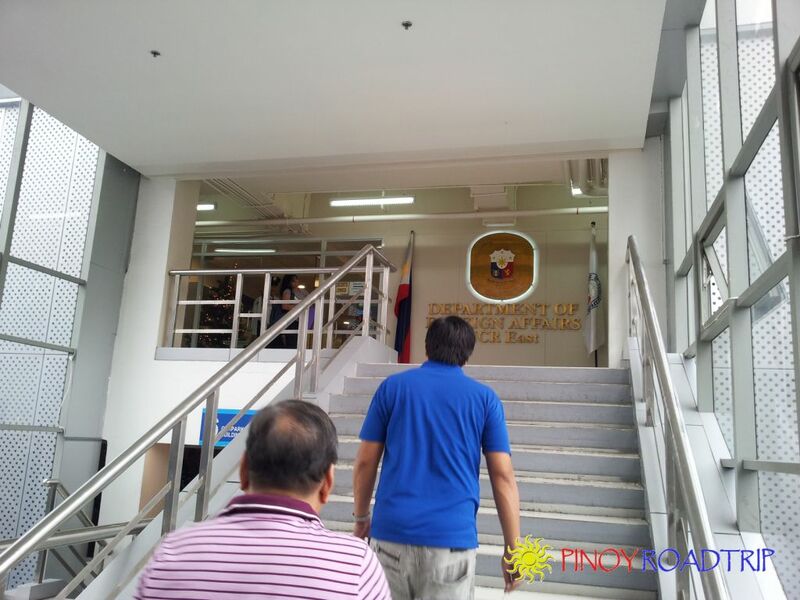 The pedestrian exit of the 7th level goes directly to the entrance of the DFA. There's no need to climb stairs or walk far. 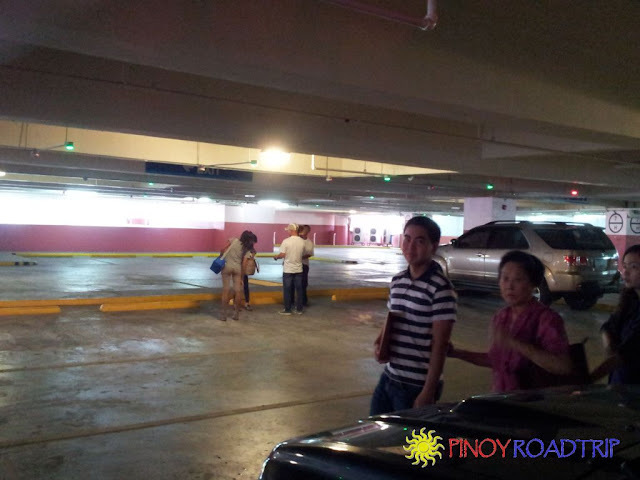 If you park at the 5th level car park of SM Megamall Building A, you need to walk far and climb the stairs shown above to reach the DFA. The left corridor at the same level of the DFA entrance leads to the 7th level of Car Park Building C. There will be no stairs to climb to reach the entrance. For more details about where to find Megamall Carpark Building C, check out my post "Where to Find the SM Megamall Passport Processing Center." When you enter the door of the passport center, the guard will immediately direct you to the right side after you enter the door towards the verification desk. You fall in line at the verification desk while the clerk checks your passport application form and attached documents. After the clerk at the verification desk finishes checking your application form and documents, he will direct you to the Smarto system pictured below to get your queue number. My tip is for you to get your queue number first because this will determine the order when you will be served, instead of getting it after coming from the verification desk. This is the touch screen machine where you get your queue number. 6. Get both regular and priority numbers if you have senior citizens, minors, pregnant women, persons with disabilities and or overseas Filipino workers in your group. If you're renewing your passport together with your kids and your parent like I did, your passports will be processed as a group. In this case, you can get both the regular and priority numbers in the queue, as shown above in the ticketing machine. But take note note that it doesn't mean that when you get the priority queue ticket, you'll be served first. In our case, the regular service ticket was served ahead of the priority ticket. I presume it's because the regular service ticket had at least 5 counters assigned to it while the priority service ticket only had one. "Priority services" is a misnomer for this service. It's actually the queue ticket for walk-in applicants. Check out my post "When is walk-in passport application allowed?" 7. Have complete xerox copies of documents before arriving at the site. As you can see below, if you fail to xerox copies of some of your documents, there is a copier service inside the waiting area. However, I strongly advise that you complete the xerox copies of your documents in order to avoid delay in receiving your documents. In our case, a person ahead of us failed to xerox some of his documents, so he fell in line at the xerox machine (1st delay) then he fell in line again after us (2nd delay). We were 6 in our group so it's like falling in line behind 6 people. 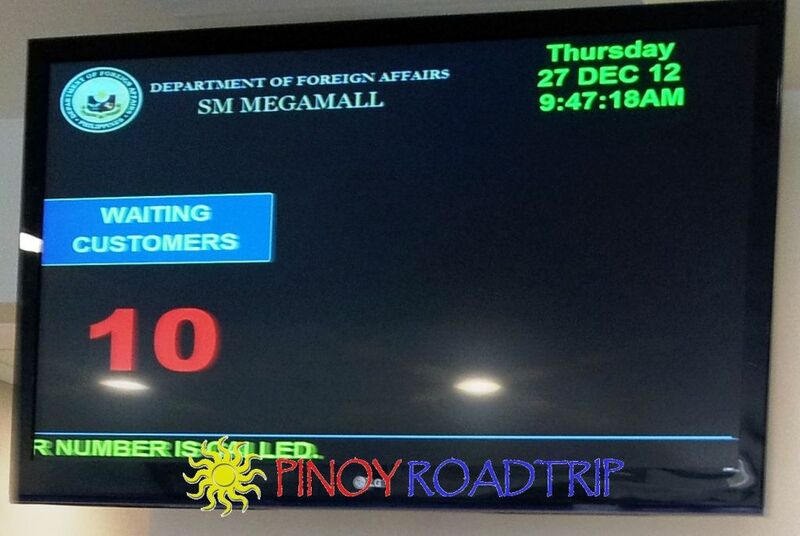 My review: The DFA did a very good job in streamlining passporting services at their SM Megamall site. We finished the whole process in 50 minutes. We were 6 people who applied for renewal of passports. 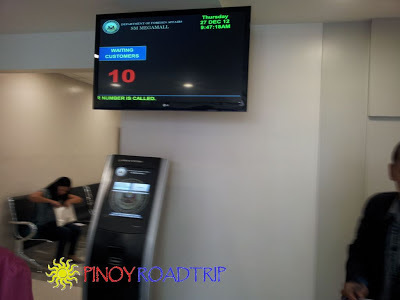 For step-by-step account of how the whole process went, see my post" My experience renewing my passport at SM Megamall". Im renewing my passport nov16 11am which is a saturday,. Since i cant be absent at work, so,weekends will work for me. I particularly like ur tip #5. Makes so much sense. Thanks! Will use it when i go to renew my passport. 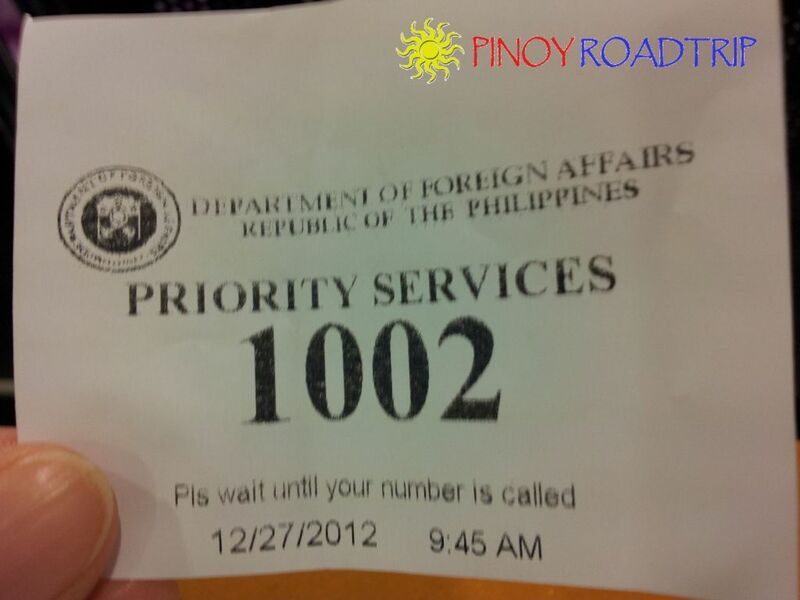 It will be useful since the earliest appointment I could get is 11am na... So at least mauna man lang ako sa 11am batch sa numbering! :) salamat! Happy travelling! de puta! wala pa passport ko!! pina rush ko na pero inabot pa din ng one month! mga bwiset talaga! pano uunlad pilipinas?! 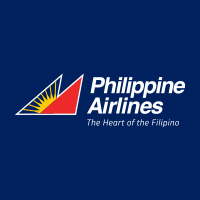 pinadeliver ko na para hindi ako luluwas ng maynila! pero mapipilitan akong pumunta mismo ulit ng mega mall dahil sa punyetang delay na yan! na cancel tuloy flights ko! aug 24 dapat release na.anong petsa na?! sept. 15 na wala pa!!! may flight ako sa london mga bwiset!!!! humanda kayo bukas!!! punyatera!!! Dapat lng madelay passport mo. Balasubas ka kc mag salita. 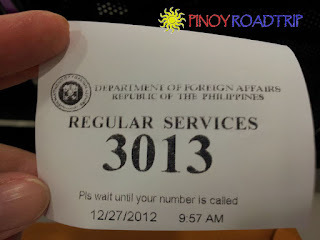 panu kami makakarenew ng passport kung ung sched para sa march eh wala na.. tatagal ang pagtambay namin mga seaman kung magkataon man.. Question lang, pregnant kasi ako, pero kasama ko dad ko and sister ko for applying for passport. As group na ba kme na priority, kasi dba kung ako nakapriority, then matpos ako kaagad i have to wait pa for them eh ganun dn parang mghhntay dn ako. So i just wanna know kung group na kme mggng priority? This is such a very big help for people like us who are new to the whole process! hope that in your way everyone who will take this process will not get delayed and will not not look silly when they arrived. GOD BLESS AND MORE POWER! It was a very smooth and fast transaction. People from the DFA were very accommodating and friendly. Saan pong DFA Branches me tumatanggap ng walk in applicants? Need ko po marenew pass port ko asap. Pls help.